Manchester United‘s off-field troubles perhaps trump the ones that their team is facing on the pitch. Their woeful form since the start of the season has been all too evident, and that has been compounded after multiple reports claimed that a rift within the squad had already taken place. Jose Mourinho is one of those people who will let the whole world know about his nasty side, and that seems to have come out a few more times than United would have liked. His main target, more often than not, has been star player Paul Pogba. 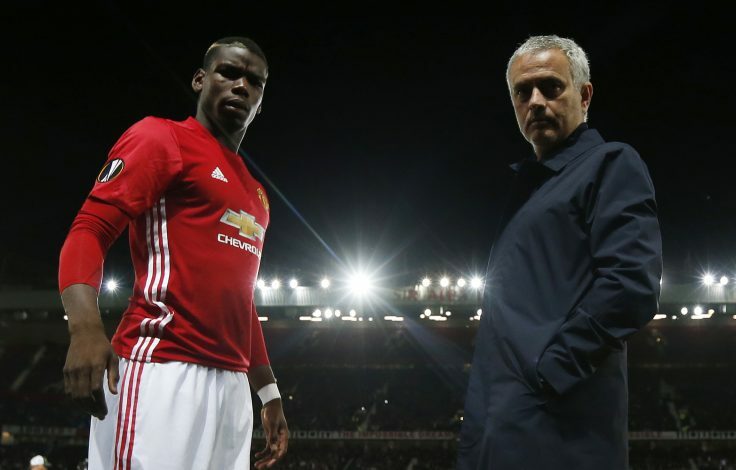 Such is the disdain the two seem to have for each other, that stunning footage from training showed Mourinho seemingly telling Pogba to ‘get out’ of the training ground due to his Instagram post during the penalty shoot-out defeat to Derby County in the Carabao Cup. Pogba, who seemed mystified by the accusation, clearly didn’t take the criticism too kindly, and protested the only way how: By forming a ‘rebel group’. The Mirror have revealed that Team Pogba consists of the Frenchman, along with Anthony Martial, Eric Bailly, and even Andreas Pereira. A Team Mourinho has been established too, and it includes the elder statesmen of the team like Antonio Valencia, Ashley Young and Nemanja Matic. Further, even Marouane Fellaini and Alexis Sanchez appear to be firmly in the corner of their boss, who has repeatedly shown his faith in each of these players. But what is alarming is the fact that this is no less than a civil war at a club as big as Manchester United, which makes this a massive cause of worry for the English giants. Fans are definitely sick of it, and it may well come down to either Mourinho keeping his job or Pogba staying put. One of them looks all but certain to be out of the door.